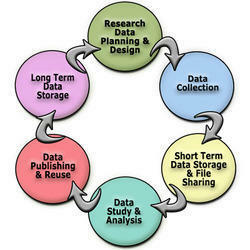 SPGS India, offers responsible services, for the financial data manangement. Just send an email, our expert will contact you for further discussions. We offer full-suite accounting services to our customers right from transactional activities like accounts payable to financial reporting with dashboards. We are also open to owning a specific process (for instance, accounts payable) for a customer. We extend full support to increase accuracy and reduce the turnaround time. - Maintain status of cheques whether it has been realized or returned will be recorded. - Accounts Ledger for each Account Heads can be take with date selection criteria. - Cash book, Bank book and Journal Book for each transaction can be created with dates and transaction type selection criteria. Manages Total Accounting of School Like Expenses, Income, Profit And Loss With Respect To Investments. - Registration, Certification of Share Transfers & Post Approval processing from and between Indians and NRIs and other foreigners. - Reporting to RBI under FEMA on issue/allotment/transfer of shares to a non resident/inward remittances. Local legislation affects the nature of Financial Administration and Business Processes (FABP). Differences, for instance, in accounting practices with internationally commonly used systems require thorough localization. We provide services in adapting your Financial Administration Processes (FAP) to local needs. Book-keeping and accounting services in govt. run corporations, boards, societies, agencies, zila parishads, local bodies, gramin vikas and panchayti raj, DRDAs, NREGAs etc. Bhama Consulting understands that many entities who wants to set up a new business are often clueless regarding the accounting and statutory compliance requirements. Also being a start up, they may also not have time and resources to keep track with the complex updates and ever changing requirements. At SEVEN SEAS, our accounts team works in co-ordination with our banks to make sure all documents are well organized and available right when required, so as to not have any delays and unnecessary charges or penalties levied on our customers. We also provide credits to our customers under certain conditions. We offer accounting services. We will do accounts finalisation and accounts preparation. Maintenance of books of accounts as prescribed under the statues for SME's ( small & medium sized exteriorizes ) and companies, preparation of financial statements for submission to the statutory authorities, compliance with the accounting standards issued by the institute of chartered accountants of India.